Behind the scenes, 2018 has been a very busy year so far for us. You may remember that we launched EssentialSM at the 2017 conference in Manchester. This new organisation, wholly owned by itSMF UK, was established to enable us to operate flexibly and help bring service management to a wider audience through a variety of new products and services. This is proving to be very successful, although this is taking up a lot of our CEO’s time and, as such, the Board have decided to make some changes to the organisational structure. Barclay Rae, who has been the interim CEO for nearly three years now, leaves the role as of 31st May. Barclay has done an amazing job for us all, steering us through the launch of PSMF and creating a range of products and services that we are proud to have under the itSMF brand. 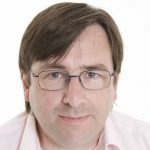 We now need him to concentrate on building EssentialSM; he will remain on the main itSMF UK board as a co-opted director and also take on the challenge of driving the new business forward. In his place, managing the day-to-day business of the organisation, we have appointed Ken Wilson as interim General Manager. Ken is well known within our industry; he has built and developed some big ITSM brands such as Pink Elephant and worked previously for a number of major ITSM companies, such as CA, Cherwell and G2G3. 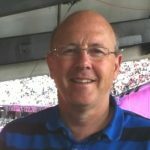 He has many years of experience in leading teams and promoting best practice. I would like to thank Barclay for his support and encouragement over the last three years and I am delighted that he is staying with us whilst we bring Ken on board to continue the work.